With the launch of This Girl Can happening in February, I wanted to find local women in the North East that empowered what This Girl can is all about and that is when I started talking to Michelle. Michelle to me empowers everything that This Girl Can is about. 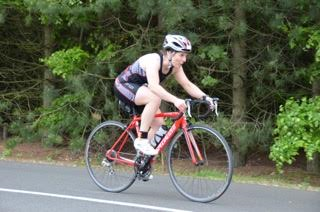 Below she is going to tell you about triathlon and about how she got involved in the sport. I hope you enjoyed this post. to be able to say that when I completed my first event in 2011.
sports one after another, with no rest. sport in the UK. Anyone can do it – even me. while of running and walking to work up to that. 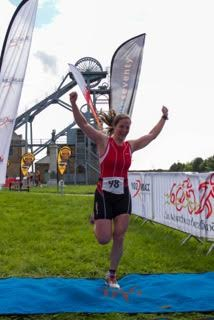 adrenaline rush when I crossed the finish line. and done longer distance events. experience of being close up to the best. sports, you get three times the adrenaline rush. I am nothing special. I am not particularly fast, or especially fit. can be hard to learn, but it’s well worth it. helmet though – that’s in the rules. something that you’re comfortable to wear to swim, bike and run in. triathlon shorts is a good buy. a wetsuit, but you can often hire these for a day, week or season. 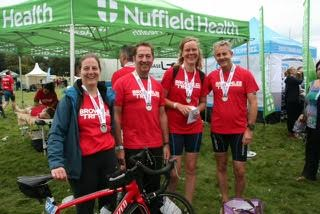 affiliated to your National Triathlon organisation. 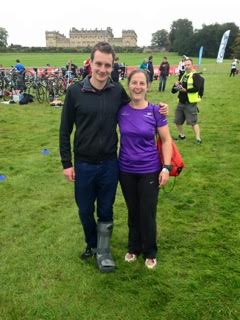 events if you volunteer to marshal at another. events that are easily achievable with a bit of training. so getting older doesn’t have to mean you’re at a disadvantage. 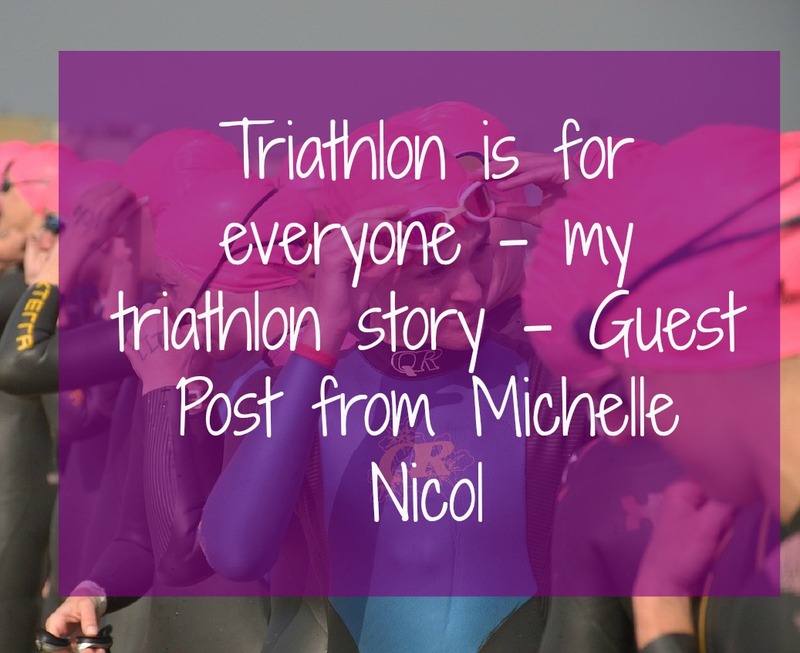 Michelle Nicol is a writer and triathlete. Exercise, Why do we start? Newcastle MoRunning 2016 – We Did It!